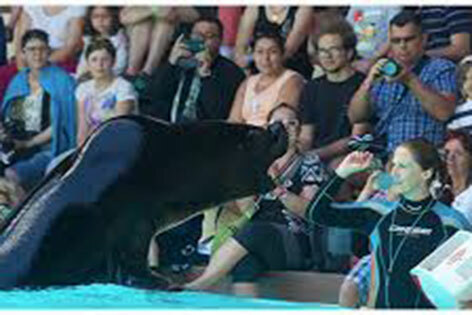 Experience something magical at Oasis Park Fuerteventura, do you want to swim with sea lions in Fuerteventura? 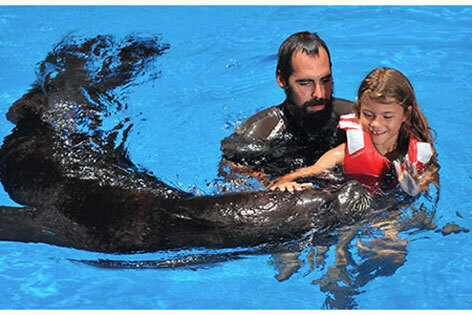 If so Oasis Park offers you the chance to interact, play, stroke and swim with the sealions. Entering the pool in small groups, swim with sea lions and experience and learn about these fascinating creatures, you will not only fall in love with coco and his friends you will learn lots of information about sea lions and how they live in the wild and of course take home a souvenir photo of this unforgettable event. Your experience will be taken in a photo which you can treasure forever. 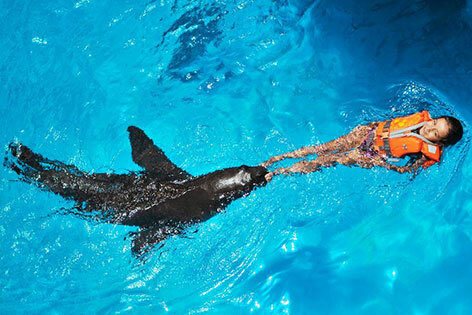 Swim with sea lions in Oasis Park is perfect for couples and family and friends. You are given wetsuits, shoes and life jacket too, there are lockers and shower facility too. 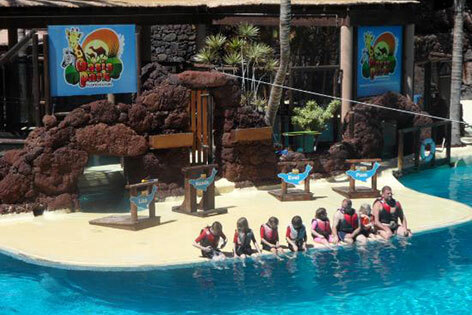 PARK ENTRANCE TICKETS ARE INCLUDED IN THIS PRICE, We recommend you Book online at least 24 hrs in advance, because Oasis Park Sea lions is always full and sells out quickly. Guaranteed highlight of your holiday and highly recommended.